California is one of the largest, most populated, powerful, diverse and spectacular states in the world. 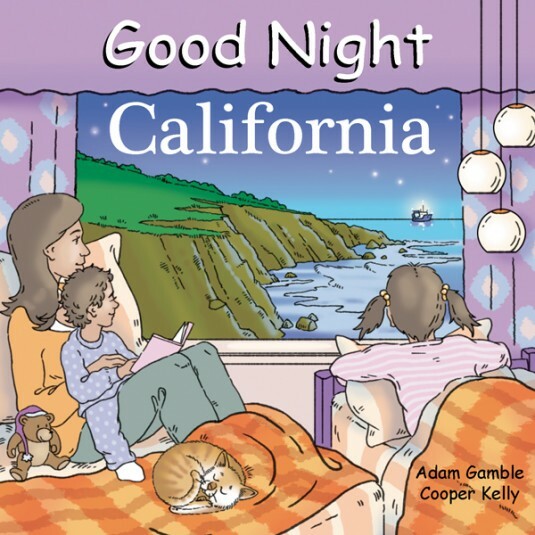 Good Night California brings its readers to all the highlights: beaches and coastline, red woods, native animals, Hollywood, the Golden Gate Bridge, Death Valley, Joshua trees, Yosemite Valley and Falls, Lake Tahoe, California farms and vineyards, trolley cars, freeway traffic, Silicon Valley, Mount Whitney, the State Capitol in Sacramento, city skylines and much, much more! 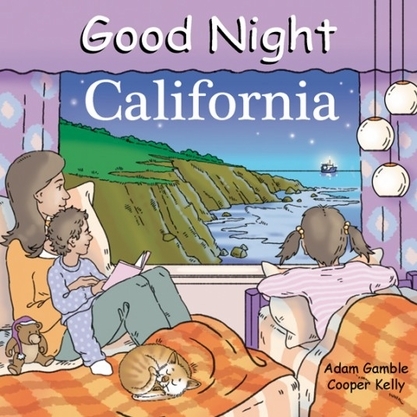 Educational, entertaining and enriching, this boardbook is sure to be a West Coast classic for generations!